So how is it that Jewish camps have managed to produce campers, current and former, who have competed on top television cooking shows? (JTA) — Zach Atlas has been going to camp about as long as he’s been baking. During the summer Atlas, 14, is at Ramah in the Berkshires, a Conservative Jewish camp in Wingdale, New York, with swimming, sports and Hebrew programs. During the year, he’s often at his oven, making pumpkin muffins or chocolate and peanut butter cake. As a noted camper and foodie, how does he feel about his camp food? Atlas was on the “Kids Baking Championship” last year on the Food Network. 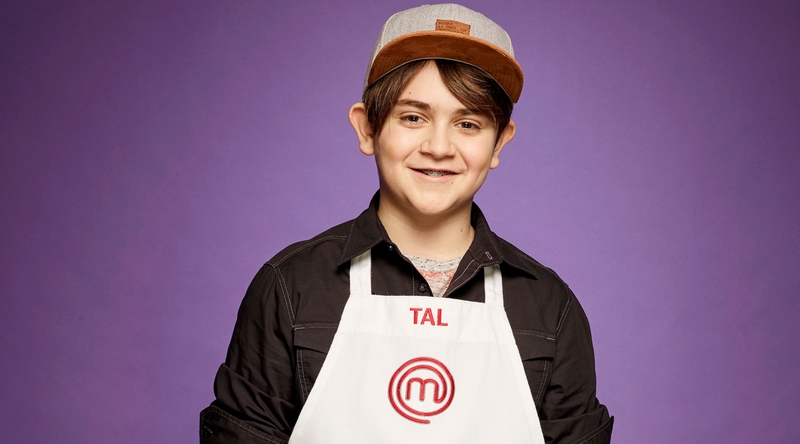 Tal Schulmiller appeared on Fox’s “MasterChef Junior” this year. And Sara Bradley was the runner-up on Bravo’s “Top Chef” this year. And even though they acknowledge that their camp food wasn’t exactly haute cuisine, they say camp has played a role in shaping their cooking. “Most of the Camp Ben Frankel food was bad,” Bradley, 37, said of the Jewish camp she attended in southern Illinois as a kid. But memories of baking challah there have stuck with her. Bradley reached the final episode of Season 16 on “Top Chef,” which aired last month, thanks in part to the matzah ball soup she made with her mother while filming in Macau. The chicken thighs with matzah balls in savory mushroom consomme wowed the judges, and Bradley’s mother taught her that club soda can make matzah balls lighter. “It was far from the soup you get in your mother’s home, but it was really delicious,” she said. Bradley also brings traditional Jewish foods into freight house, her restaurant in Paducah, Kentucky, where she grew up. When she puts traditional Jewish foods on the menu, she’ll often make them with a local twist, or give them names that are more understandable to her customers in Appalachia. So she has served matzah balls, for example, as “bread dumplings.” And latkes with apple butter, a local spread, or pulled pork mixed in. Some Jewish camps have taken note of the culinary craze and launched cooking programs and specialty camps geared to the kitchen. New Jersey Y Camp’s two facilities for Orthodox kids, Camp Nesher and Camp Shoshanim, have offered a kosher culinary arts camp with the noted cookbook author Susie Fishbein as the instructor. The Louisville, Kentucky-based Camp J offers a range of cooking specialty camps, including a week of cupcake baking. Camp Zeke in Lakewood, Pennsylvania, puts “culinary arts” right into its logo, and has a dedicated teaching kitchen where resident chefs train campers in cooking techniques and culinary theory. Atlas, who lives on Manhattan’s Upper East Side, hopes to work professionally as a baker when he’s older, though he thinks running his own bakery may be too stressful. He started baking thanks to his mom, who would bake zucchini and pumpkin muffins, as well as a delicious blueberry pie. Now his favorite thing to do is bake cake. “They’re a really great blank canvas to try something new on and decorate,” he said. Atlas was eliminated from the “Kids Baking Championship” in the first episode last summer, in which contestants had to make eclairs. But he’s still baking, posting a blue “winter wonderland cake” to Instagram last month. Schulmiller, 14, from suburban Long Island, became interested in cooking via matzah ball soup from his grandmother. On “MasterChef Junior,” whose seventh season began last month, he made his signature dish, a kombu-cured salmon with a miso buerre-blanc and yuzu kosho, a Japanese grape. He’s also a foodie in his spare time in New York, rarely visiting the same restaurant twice, so he can sample the city’s culinary landscape. But though Schulmiller feasted on lobster cappuccino at Le Bernadin, the famed New York seafood restaurant, for his birthday, he also enjoys traditional Jewish holiday cooking. He’s going to contribute to cooking for Passover, and loved making Thanksgiving dinner this year. Oh, and another thing: Schulmiller didn’t think the food at his summer camp, Camp Havaya in Pennsylvania, was all that bad. He attended for two full summers.